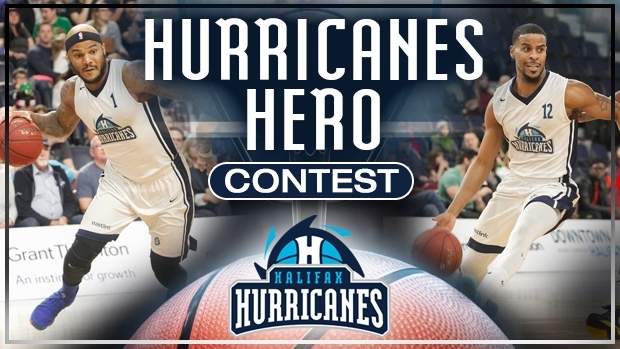 CTV and the Halifax Hurricanes want to celebrate the youth in our community with the Hurricanes Hero Contest! We’re asking you to nominate an exceptional youth, who has shown excellence in areas like the arts, athletics, academics, or community involvement. We’ll select one nominee a month who will be featured on CTV. They’ll also win four tickets to a Hurricanes home game, a Hurricanes jersey and basketball, a night's stay at Halifax Harbourfront Marriott Hotel, a $50 gift card to East Side Mario's and more! No purchase necessary. Contest starts at 5:00 p.m. AT on December 5, 2018 and closes on March 8, 2019 at 5:00 p.m. AT. Nominators must be legal residents of New Brunswick, Nova Scotia, or Prince Edward Island, Canada, and have reached the age of majority in their province of residence. Some restrictions apply. Approximate retail value of each of the four (4) prizes is $505.00 CAD. Odds of winning a prize will depend upon the number and caliber of all eligible entries received up until each applicable Judging Date. The number of prizes available to be won will decrease throughout the contest as they are awarded. Complete contest rules and entry available at https://atlantic.ctvnews.ca/hurricanes-hero-contest-official-rules-and-regulations-1.4206082. 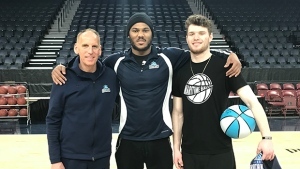 CTV and the Halifax Hurricanes are celebrating the youth in our community. This month’s Hurricanes Hero is 13-year-old Trinity Dlamini, from Pictou, N.S. 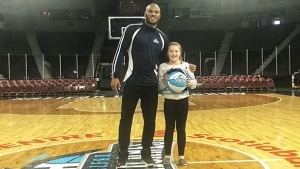 CTV and the Halifax Hurricanes are celebrating the youth in our community. 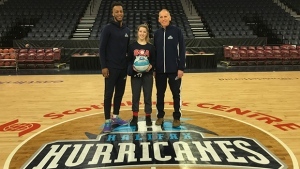 This month’s Hurricanes Hero is 17-year-old Hayley Elliott, from Bookfield, N.S. 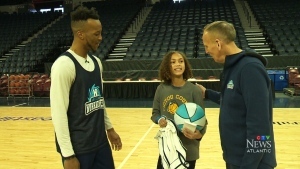 CTV and the Halifax Hurricanes are celebrating the youth in our community. This month’s Hurricanes Hero is 18-year-old Zak Gorman from Lr. Sackville, N.S. We asked you to nominate an exceptional youth to be a Hurricanes Hero and our first winner is Megan O’Connell of Dartmouth, N.S.